Networking is an important and valuable part of growing a business. Networking as a freelancer or sole entrepreneur, however, can be less than straightforward. Many “solopreneurs” wonder how to find the right venues for networking, how to engage peers and potential clients, and where it’s worth spending valuable time and money to make appearances. We reached out to people who have been making their living as freelancers and asked them what the secret is to effective networking. Here’s what they had to say. For most people, nothing can replace face-to-face time when it comes to getting leads, learning more about who’s doing what in your industry, and letting people know what you do. Without the built-in support and organization of an employer, freelancers have to be especially savvy about choosing where to spend that time. Donna Talarico, an independent writer and content marketing consultant, says she likes to combine networking with professional development by attending conferences in her field. That helps her stay up to date on best practices and keep her skills sharp while also meeting potential clients and collaborators. Cristian Rennella, owner of Brazilian website oMelhorTrato.com, also advocates for event attendance, and recommends taking it one step further by stepping up as an event organizer. If hosting an event or attending conferences is too big a step, consider getting involved in local group, even outside the traditional networking format. Melissa Ward, who runs NewWard Development, says she built a local client base partly by offering presentations to Chambers of Commerce to position herself as an expert in web design and social media marketing. 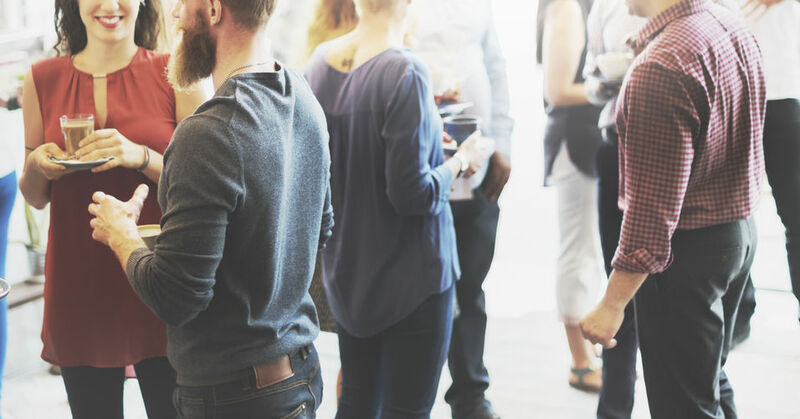 While events and meetings with people in your field are valuable, expanding the scope of contacts outside your industry can be a great networking tactic, too. Some freelancers and sole entrepreneurs choose to connect online. Social media makes that easy to do, especially with the right strategies in place. Kali Hawlk, a solopreneur running the marketing firm Creative Advisor Marketing, says she’s leveraged social media to expand and grow her reach. Donna Glass, a PR freelancer in San Francisco, says she’s joined PR-specific Facebook groups. One in particular, comprised of women in PR, has been a valuable source of new business for her. Meeting other women in the business through that group has also given her new contacts and friendships. Once you’ve started making connections, it’s important to keep track of those relationships, many freelancers say. Janice Dru, president of Inkwhy, says she recommends sending out regular communications to check on how clients and contacts are doing, and keeping a database in which you can record when you’ve reached out. Hager, of Overflow StoryTelling Lab, also recommends creating a document, spreadsheet, or similar system that allows you to organize the details of when you met a new contact and what you discussed. There’s also some consensus from freelancers and solopreneurs about what doesn’t work. Most agree that cold calling – or emailing – often goes nowhere. Shea Drake, a freelance writer and photographer says that cold contacting via email forms hasn’t been effective. Nor does relying on friends, even those in your industry, parlay the same kind of networking success that going out and gathering leads does, says Donna Glass, the PR freelancer in San Francisco. “For the most part I’ve been the most successful when I’ve gotten the lead directly,” Glass says.